Since 1948, The Lloyd Schuh Company has been the region’s premier producer of direct mail and promotional products. To better reflect the broad range of services we provide our clients, we’ve changed our name to LSC Mail Marketing. This new brand goes to the heart of why we are here, to help you and your company market your products and services. 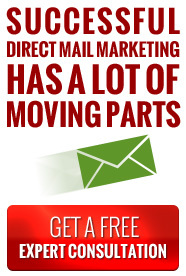 No one in the area has more experience with Direct Mail than the folks at LSC Mail Marketing. More recently, we added a complete line of fulfillment services to the mix. With the ability to warehouse, pack and ship for just about any need, LSC Mail Marketing can be your single resource partner. Now more than ever, LSC Mail Marketing is ready to help you face the challenges of a demanding marketplace.